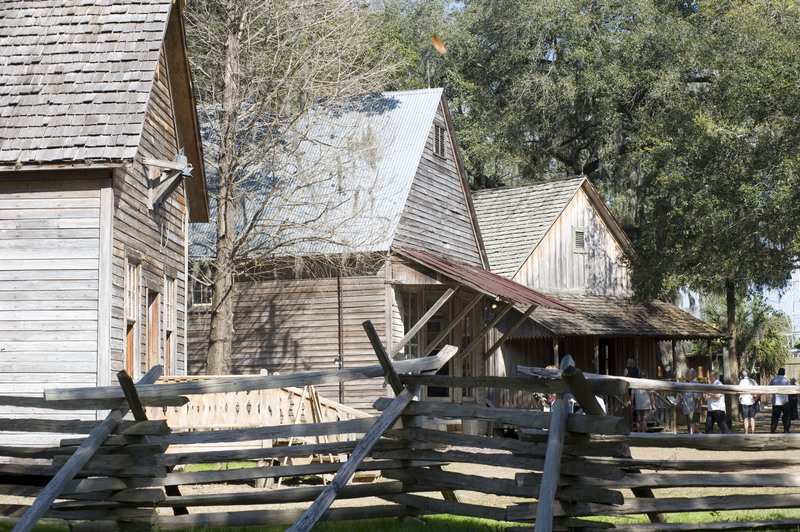 Students will visit the museum and grounds and experience the world of pioneer Floridians by participating in some of their daily chores, like churning butter, making rope, dipping candles and doing laundry. Young learners will explore connections between long ago and today through play, dance, storytelling and hands-on activities. All groups will make and take home a textile craft, explore a 1917 railroad caboose and visit a turn-of-the-20th-century Florida family’s cabin. What makes Florida a good place to raise cattle? What resources do we get from the forests around us? Did orange trees always grow here? Why was steam power important to 19th century Floridians? This program features visits to the Fairgrounds’ permanent exhibits: The Florida Forest Discovery Center, Florida Cattle Ranching: 500 Years of Tradition and the Power of Steam. Students will make a leather craft, experience working steam engines, explore the history of citrus and take part in activities designed to introduce them to some of Florida’s iconic industries that were shaped by the natural resources of our state. Florida Industry Tour: 2.25 hours. $8 per person. All field trip programs require a minimum of 15 paid participants. One adult chaperone per 10 students is required and admitted free. Busses enter the fairgrounds via the Orient Road service entrance and park near Gate 2. Programs are scheduled by reservation only. Reservations must be made online by visiting www.crackercountry.org. A deposit of $50 is required within 30 days of booking to hold program date; remainder is due on the day of the field trip visit.